Now is this an educational organization? or is it an outside partnership? Because I get tired of outsiders telling those of us in education how things should be run. But until I know for sure, I'm going to withhold judgement. 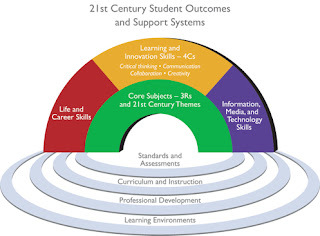 That's a nice way to look at 21st century skills students need. I especially like the fact that information, media and technology skills are given such a high priority!